Our most beloved father, grandfather, great grandfather, uncle and friend, Ted Dale Owens passed away peacefully September 11, 2018 with his lifelong sweetheart by his side in his home in Panguitch, Utah at the age of 84. 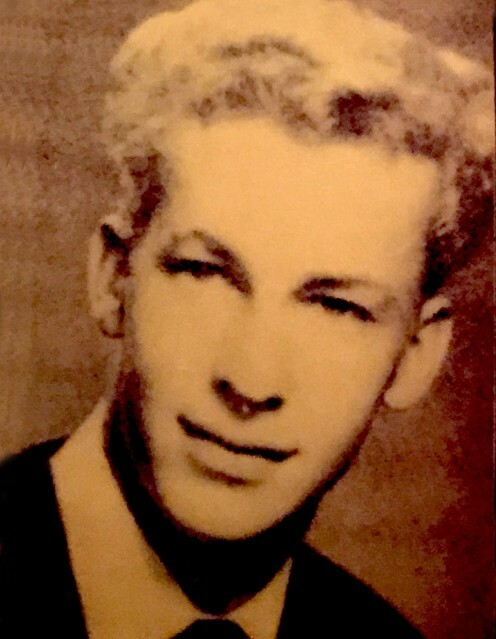 He was born October 23, 1933 in Panguitch, to Ruth Eliza Dodds and Joseph Owens. He was the 8th of nine children: five sisters and three brothers. Ted is the last living member of his family. Listed in birth order: Georgie, Joseph John "Jack", Lola, Sara, Norma, Glayd Thomas, Betty Ruth, Ted Dale and Douglas Wayne Owens. He was blessed with a loving family and grew up in Panguitch. Ted married Christine Houston August 26, 1952. Their marriage was later solemnized August 27, 1976 in the St. George Utah LDS Temple. He was an active member of The Church of Jesus Christ of Latter-day Saints. Ted held many callings in the Church. One of his favorites was being a ward mission leader. He and his wife also served as temple workers in the Dallas Texas Temple. Ted was an avid fisherman and his family enjoyed their traditional family reunion each summer in Panguitch where he taught his children, grandchildren and great grandchildren to fish on Panguitch Lake. There are so many wonderful memories, where Ted fished with his great- grandchildren until age 83. Ted loved the gospel with his whole heart and enjoyed sharing his testimony readily to all those around him. He always had a spiritual story to share with life lessons learned. He instilled faith and integrity in his family and stood for all that is good. He was kind, loving, caring, hard working and was a true servant of the Lord. Ted is survived by his wife, Christine; son, Gregory (Tracy); daughters; Pamela Owens, Amber (Russell) Snow, Cindy (Mark) Wade. He has 18 grandchildren and 29 great-grandchildren, with two more on the way. Ted will be greatly missed and often reminded his family that when the time comes to die, "We don't die, we go into God's glory".